After doing the drawing our first watercolor painting step is painting the sky and clouds. Create a very weak mixture of French Ultramarine and Burnt Sienna, about the strength of a weak cup of tea. Then using the side of a round brush loaded with only clean water, wet the area of the sky which will be cloud free i.e. only wet the area which would normally be blue sky. Leave some large areas untouched – this is where the clouds will appear. By using the side of the brush and only lightly touching the paper you will create wet areas with rough edges. 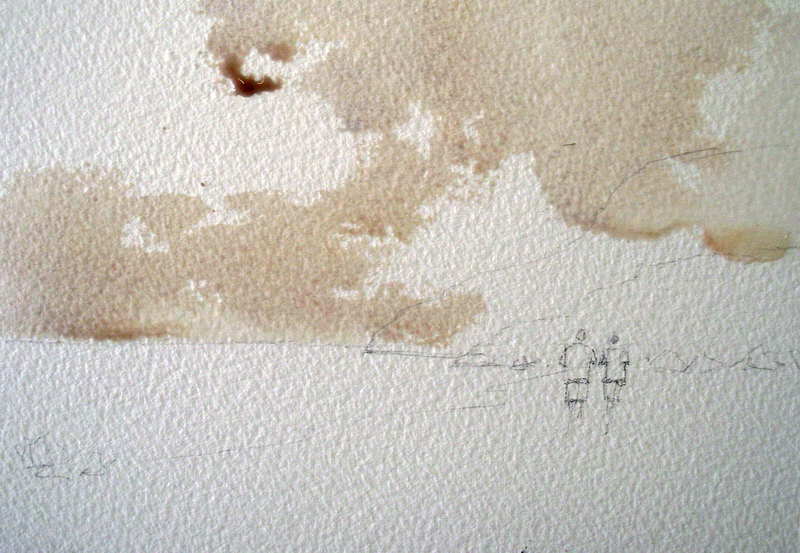 In Figure 2, I have added a tiny amount of watercolor paint in my wash so you can see where the clear water would normally be applied. 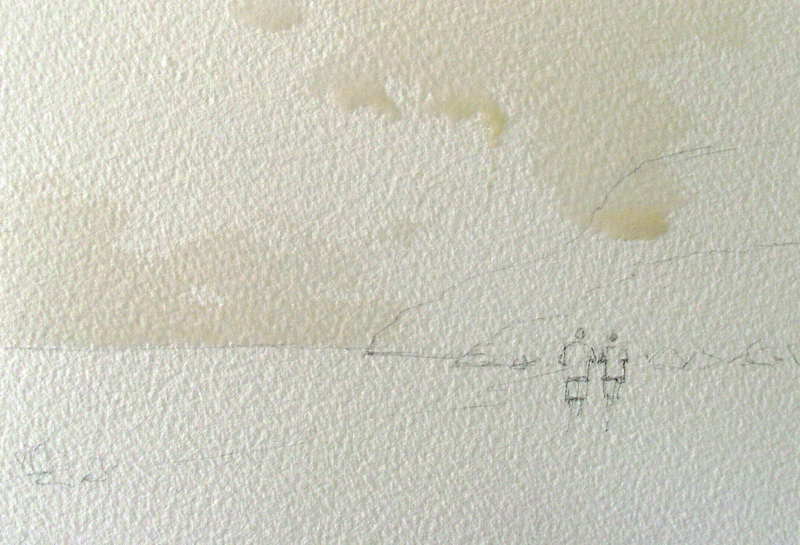 Figure 2: First step for painting the sky and clouds with watercolor is to apply clean water with the side of the round brush where the sky will be. Now while the sky area is still quite wet go back in with the sky mixture already produced. Hold the brush as you did when you initially wet the sky. As you see interesting cloud edges formed – leave them! That is what you are after. Importantly don’t fiddle, just put the sky in and leave it. Don’t mix the sky colors after you wet the sky as it will dry and this watercolor painting technique requires the initial wetted area to be quite wet. It is basically a wet on wet technique. This step is seen in figure 3. 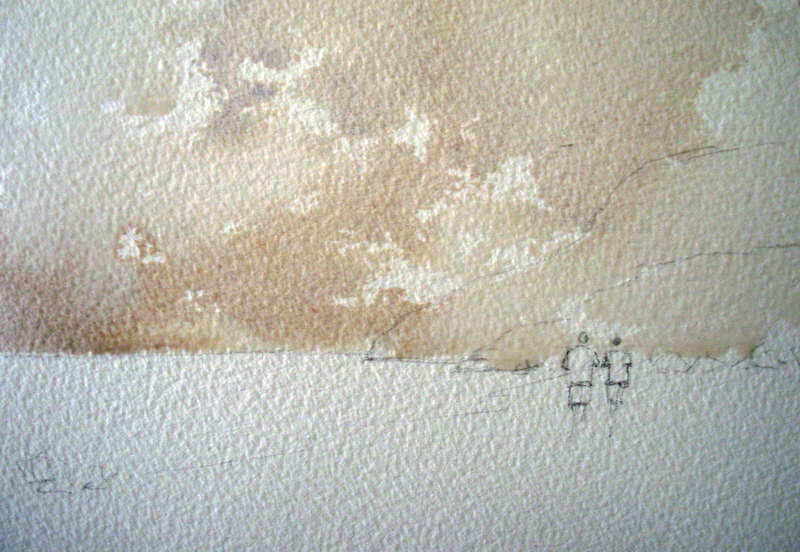 Figure 3: Lay in the sky watercolor wash over the pre wet sky area. Once the sky is in place, and still wet, you should have some areas where the sky color has pooled, go back into the cloud areas now with just clean water, see figure 4. Again hold the brush so that only the body of it (and not the point) just touches the paper. Where the sky color has pooled it will react with the clean water of your brush as you touch it and create some nice edge variety. It is important in this step to leave some areas of the cloud shapes untouched so they form some nice dry brush edges. Figure 4: Go over the white clouds with the side of the brush loaded with clean water, let some sky color bleed into the cloud shapes. Leave some cloud edges untouched. Notice too that I painted into the hills, rather than just painting up to their edge. This will allow the hills to look like they are part of the scene rather than just stuck on which can happen if you try to leave the hill shapes white. Let this stage dry thoroughly. My second book Watercolors, Step-By-Step, is now available through Amazon as a paperback and eBook. It is a great follow on from my first book if you have already read that one and would like more step by step demonstrations. Three years in the making, my book Mastering Watercolors, a practical guide, is now available through Amazon as a paperback and eBook.